Dutcher’s debut album, Wolastoqiyik Lintuwakonawa, follows in the footsteps of Tanya Tagaq’s Animism (2014), Buffy Sainte-Marie’s Power in the Blood (2015) and Lido Pimienta’s La Papessa (2017). The project was recorded over the past five years and drew from archival wax cylinder recordings from the early 1900s. It is performed entirely in the endangered Wolostoq language. “It is said that there are less than 500 speakers of the language left,” Dutcher told us during the recording process. “It’s at a really critical stage right now, and that’s why it’s really important for folks of my generation to start taking language reclamation seriously. When language is lost you’re not just losing words, you lose an entire way of thinking and moving through the world.” Widely considered one of the country’s most prestigious and coveted music awards, the Polaris is judged solely on artistic merit, without consideration for genre, sales or record label. Dutcher learned he had made the long list back in June, and then the short list (alongside fellow Indigenous nominees, Snotty Nose Rez Kids) in July. And while the relative newcomer’s win may have surprised some music fans, we were not among them. 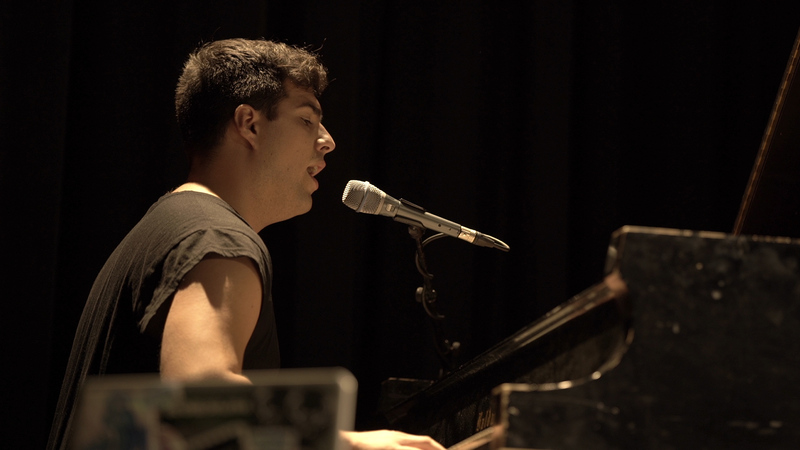 We knew from the moment Dutcher sat down to perform at the eighth edition of Aboriginal Music Program’s AMP Camp that we were in the presence of something special. While Dutcher didn’t learn of his big win until the end of last night’s Polaris gala in Toronto, his powerful performance earlier in the night ensured that his name was already trending by the time he accepted the prize from last year’s winner, Lido Pimienta. You can listen to Wolastoqiyik Lintuwakonawa on Stingray Music.